The Austrian Salzburger pattern is a later variant of, and more or less the same as, the German Bavarian pattern, except that it has the Salzburg coat-of-arms (a turreted gateway) on the king of bells’ shield. The king of hearts’ shield has a barred anchor and a blindfold cupid appears on the two, or daus, of hearts. 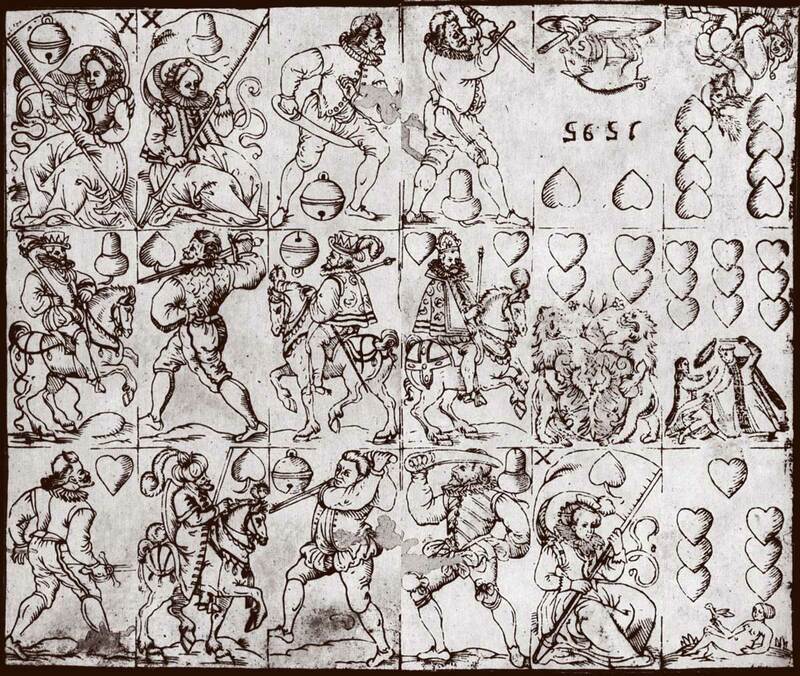 With its other cousins from neighbouring countries (Bohemian and Franconian patterns) its origin can be traced back to cards of the 16th century. 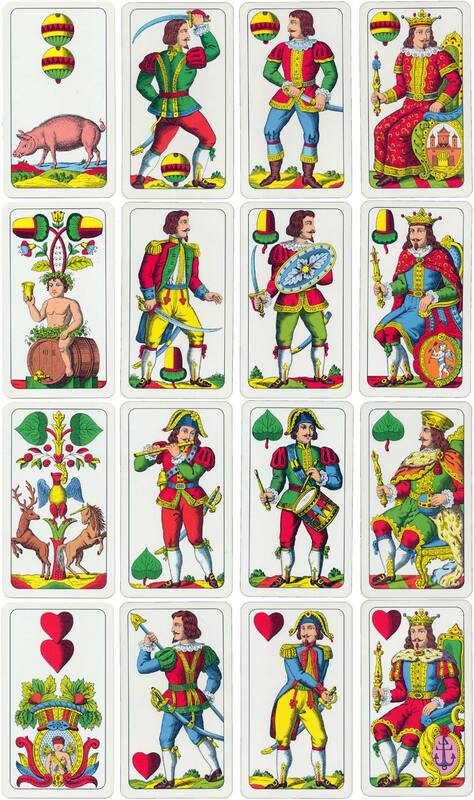 The small vignettes on the numeral cards, depicting folkloric scenes, add extra charm. Above: Salzburger pattern by Ferd. Piatnik & Söhne, Vienna. 36 cards, single-ended courts. 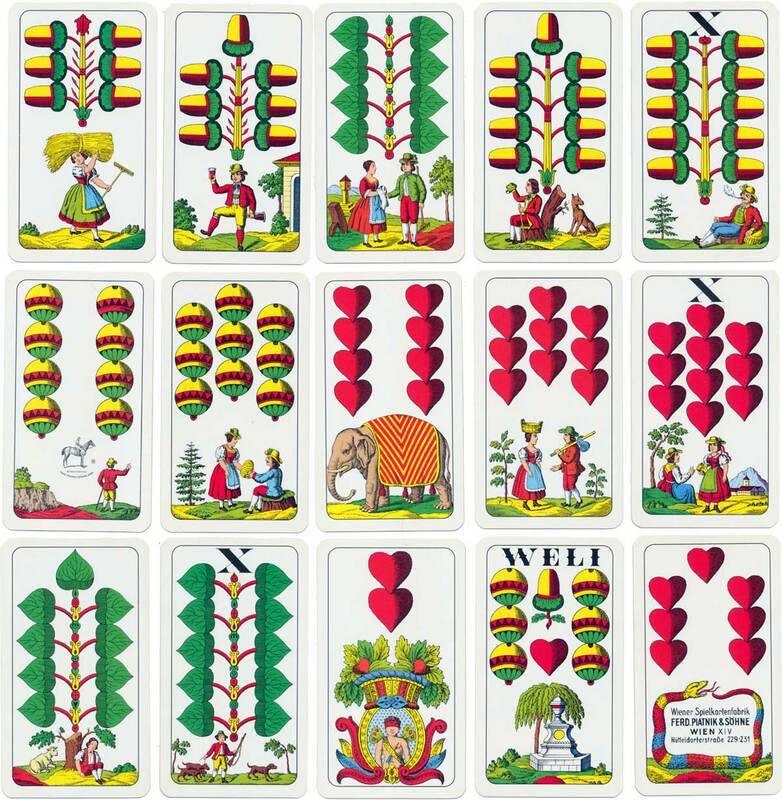 The ‘WELI’ card (six of bells together with one pip of acorns and hearts) is found in several German-suited Austrian packs. Images courtesy Matt Probert.